Following the recent terror attacks and a personal bereavement, Getintothis’ Adam Chapman explores the healing powers of music and how it helps us mourn. The recent events in Manchester are without a doubt horrific, so many lives, young and innocent lives, taken after possibly one of their first ever gigs. First gigs are something we all remember and hold deeply which just makes this whole ordeal more heart breaking. I myself recently lost my best friend suddenly and the grieving process is one of the hardest things I’ve ever had to deal with so my thoughts are with those who lost loved ones as this is something that is near on impossible to comprehend. 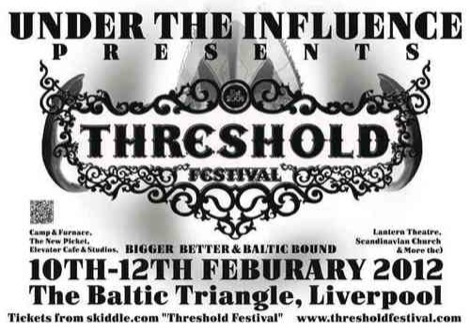 Manchester and my city Liverpool are two northern powerhouses when it comes to producing transcending talent that re-writes the rulebook about what a band can be. Oasis, The Smiths, The Beatles, Joy Division such legendary figures that have helped people through the lows of life, while enriching the highs. Within these two cities, and I’m sure across the rest of the country, one of the most beautiful things I’ve seen since the attacks was the defiance of the creative and fans alike, guitars were still strummed, drums were still hit and poetry was still sung in the shadow of an attack at the heart of our enjoyment. We cannot forget in times like these how music brings people from different backgrounds, lifestyles and ages together to celebrate life. A true example of this was the death of David Bowie last year. The scenes of tribute that were displayed in Brixton upon the news was incredibly, poetically heart warming. The fact that one man’s expression of creativity could unite that many different people is such a beautiful thing in this world. Unfortunately we live in a world where tragedy can strike at any moment and it’s often those without power and without blame who are targeted. The events in Manchester are not a unique phenomenon but what happened after can be used as a guide in how to deal with the consequences. After the nightmarish events that happened at the Bataclan concert hall in 2015, the band that had been playing, Eagles of Death Metal, and their many fans didn’t condemn themselves to losing something that all of them loved. They instead returned to the place where lives were taken and loved ones lost to celebrate their lives through the power of music. I hope for Ariana Grande’s sake that the events at the Manchester Arena does not tarnish the thing she has worked so hard for her entire life, but people must grieve in their own way and in how they see fit. With her recent actions for the city of Manchester with the One Love concert, the city once again came together in the face of disaster and united through the love of music. Christ! Having Coldplay and Liam Gallagher play mere minutes from each other is something sort of a miracle. It’s not just on a wide scale national disaster that music can help sooth the pain. As previously mentioned my best friend recently tragically died in an accident. Finding out that news sent my mind into a whirlwind, not really knowing how to think or what to do for a few days. I’m still in the midst of the grieving process and expect myself to be for sometime. It wasn’t until a few days after finding out that I started to get my head back together. As well as the support from friends and family, I found that music became my biggest comfort at times like this. It became an escape from reality, an hour or two where I could just be in a meditative state, away from the world. Finding that one or two albums that just hit the nail on the head and embrace you like a mother’s hug, I feel has been critical of late. 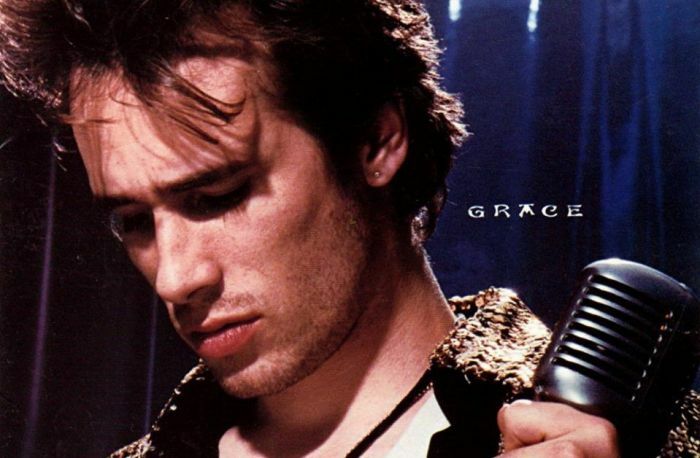 For me personally one album I’ve been playing through constantly has been Jeff Buckley’s Grace. The title track in particular is the song that gets me. There’s a nostalgic twinge I feel upon the opening guitar that just sends me back to hanging out in his room at university chilling and discussing life. As depressing as the song is, it’s making me smile; it’s amazing how context of a song can be shaped through what seems like, at the time, just everyday life. Music, the creation of, the enjoying of, or performing of has such a therapeutic power that I am ends to find in many other mediums. I have always followed the mantra that to deal with adversity, turn it into art. This is so clearly seen throughout the discography of many artists. U2’s Sunday Bloody Sunday about the Bloody Sunday Derry crisis, Eel’s Electro Shock Blues approaches the lead singer’s thoughts on his mother’s death and sister’s suicide and most obviously Arcade Fire’s Funeral that includes tracks about losing family members. Grief is such a powerful emotion but through it something completely wonderful and fitting can be create. I know my friend created music to deal with his tremendous anxiety towards certain moments in life and listening to that music back now helps me celebrate the things he overcame. I’ll drop a link to his soundcloud down below as to be fair I know I may have some bias but the tracks he created are pure dynamite. If there is a heaven I’m sure he’s dropping a, as Taylor Swift would say, “Sick Beat” up there. Music I’d be lost without you as I’m sure many others would be, you’re slowly helping me through the seven stages of grief. I hope that the next time you’re listening to your favourite album or attending a gig, you just take a moment and appreciate your surroundings, appreciate the moment you’re in and appreciate life. Liverpool Music Week CUC closing party – stages, times and everything else Threshold Festival 2012: Line-up, stages and full details Michael Owen: I don’t like music, I’ve only heard seven albums Creamfields add Fedde Le Grand, Nicky Romero, 3 Are Legend and new stages Africa Oyé 2017 line up, stages and details for 25th Anniversary spectacular LIMF 2015: Bandstand & Academy Stages featuring Galactic Funk Militia, Sunstack Jones, Ivan Campo: Sefton Park Dysgeusia #19: All your favourite bands should break up Cosmic Slop #91: Who gives a toss what NME’s favourite album is?